On December 11th this year we had the pleasure of making use of Miriam’s stoat dog. 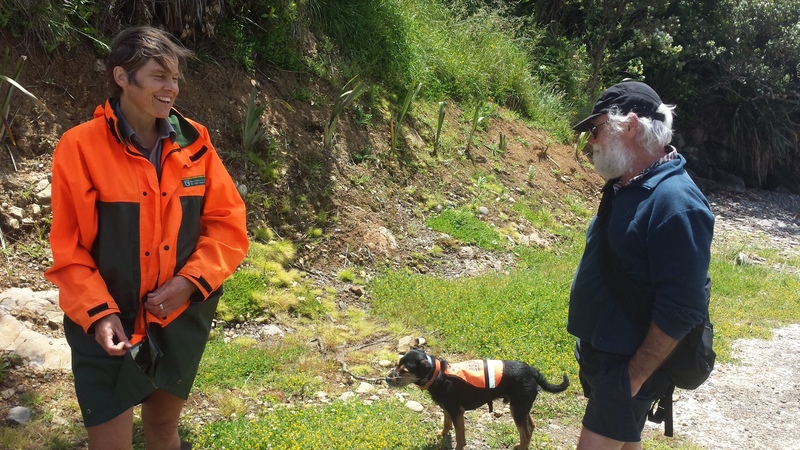 Miriam works for DoC and is the only dog handler for DoC in this country at the moment. 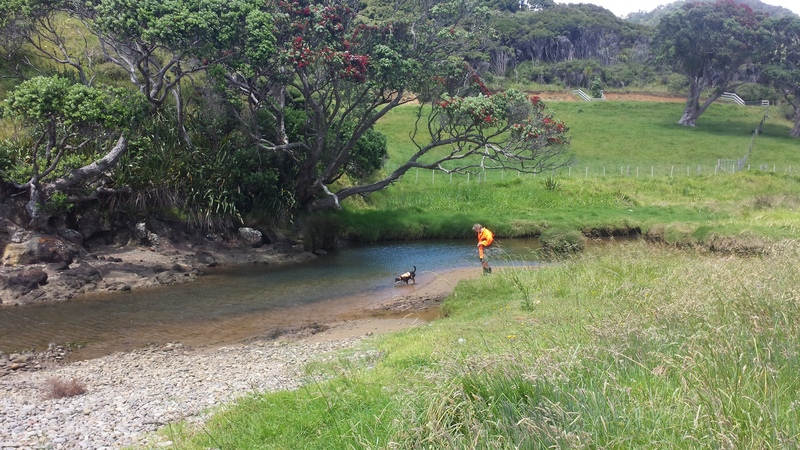 Steve Garmey and I took Miriam and her stoat dog Woody to a few known hotspots, like the boat ramp, the reserve behind Wade’s place, Puriri Place, the little lake and to the grass lands at the quarry gate. Josh and Rebekah also took Miriam down to Boulder Bay because of a sighting of a whole stoat family there a while ago. The good news is, ‘Woody’ didn’t sniff out any stoats on the day. This doesn’t mean there aren’t any but we can conclude we are not overrun by them. 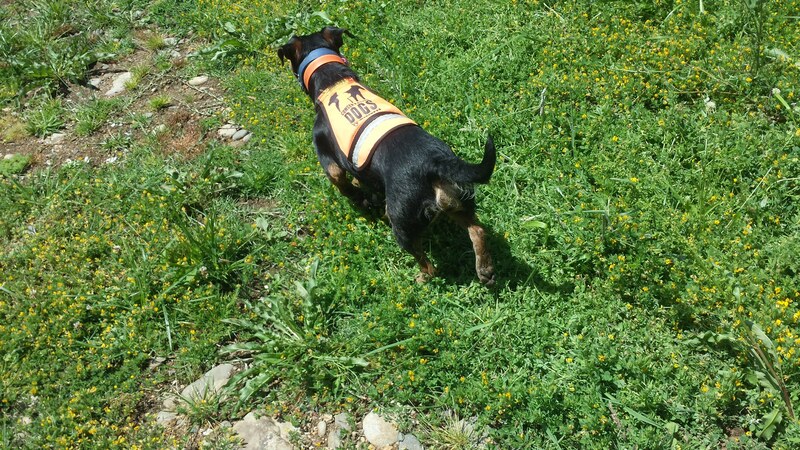 Miriam also brought her two rat dogs, Ahu and Wills but they were not allowed to play, they are used to check for rats on predator free islands and the like. We want to thank Miriam and DoC for the time and effort that was put in to help us with our ongoing pest control. Despite not finding any stoats if you do see any around please feel free to inform me and we will endeavor to catch them. 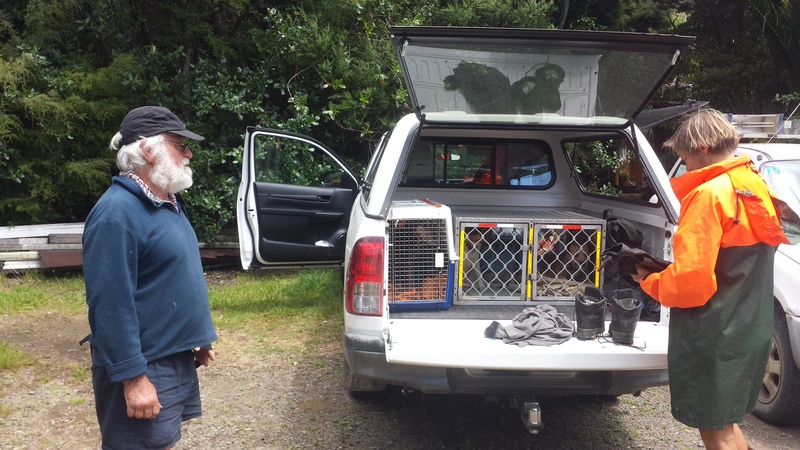 A story aired on RNZ regarding self setting traps. 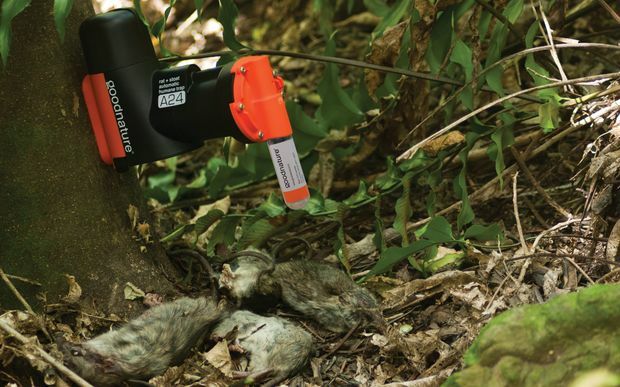 The self resetting traps were developed by the company Goodnature in collaboration with the Department to Conservation, and could reset up to 24 times before it needed to be reloaded. Ms Lillas said 120 of the pests were killed by the self-resetting traps she laid, compared to just six in the other traps, known as Victor traps. She said she was overwhelmed by the results. Goodnature founder Stu Barr said it would be useful information for planning ways to get rid of pests for good. Department of Conservation spokesperson Herbert Christophers said it was currently using several of the self-resetting traps, but would not immediately replace all Victor traps with them. The self-resetting traps also came with a bigger price tag, costing about $130, compared to roughly $15 for the standard victor traps.